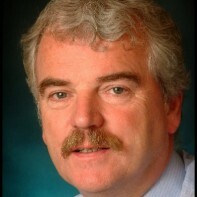 Finian McGrath is standing for re-election as an independent deputy for Dublin North-Central. The 57-year-old was first elected to Dáil Eireann in 2002 as a member of the Independent Health Alliance. McGrath was returned five years later for a second term of office despite the fact that the constituency had been reduced to a three-seater. In 2007, McGrath declared that he would support the Fianna Fáil-Green coalition after he publicly concluded a deal with Taoiseach Bertie Ahern. McGrath is a former Chairperson of Down Syndrome Ireland's Dublin Branch.